Access the full site including tour schedule and music store using the menu above or at the bottom of the page. These dozen songs about the United States of America are as varied as the states themselves. From the rugged coast of Maine to the open prairies of Wyoming, and from swinging sounds of "Nothing Short of Texas" to the roots rock music of "Gotta Go to North Dakota," these songs celebrate the beauty and diversity of our nation. And they do so on a grand scale, using 22 different musical instruments, six singers, and eight studios in six states. Hopefully some of these songs will find their way into the ears and hearts of those in their respective states. At a time when Americans are sorely divided, perhaps music can offer us some much-needed common ground. 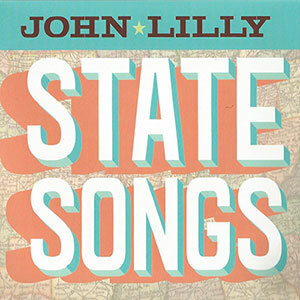 Go to John Lilly's State Songs CD page. Thinking about the Weather features John in an intimate solo acoustic setting. Twelve evocative original songs accompanied on acoustic guitar and mandolin - and one unaccompanied - show John as audiences around the world have enjoyed him. Simple, soulful, and sincere. 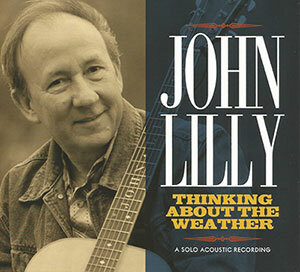 Go to John Lilly's Thinking About the Weather CD page. Cold Comfort features 13 original songs by John Lilly, recorded with a virtual “who’s who” of amazing guest artists, including Bill Kirchen, Sonny Landreth, Tim O’Brien, Bobby Flores, Floyd Domino, Kayton Roberts, Johnny Staats, Brennen Leigh, Tom Lewis, Ric Ramirez, Skip Edwards, and Tommy Detamore. From the solid Texas shuffle of the title track, to the swinging acoustic picking of “Short and Sweet” and the Allmann Brothers-inspired “Come and Go,” this surprising collection adds a full-band sound to John’s great vocals and creative songwriting. 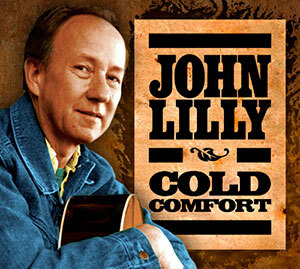 Go to John Lilly's Cold Comfort CD page. 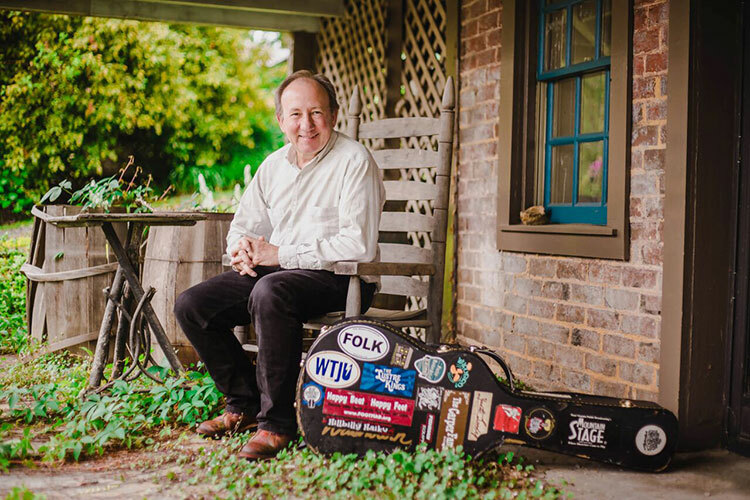 Live on Red Barn Radio presents John Lilly as the engaging and personable entertainer audiences have come to love over the years. Spot-on solo performances, accompanied by his own stellar guitar and mandolin work, are highlighted by lively spoken introductions and interview segments. 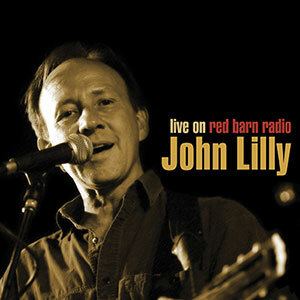 John Lilly: Live on Red Barn Radio is a must-have for fans of John Lilly who wish to take home a souvenir of his memorable live show, and an excellent introduction to the music, repertoire and personality of this unique American performer. You may listen to samples from John Lilly's Live on Red Barn Radio CD, but the title is out of print and unavailable for purchase. This 14-song CD includes 10 brilliantly written songs by Lilly. These songs, and Lilly’s traditional approach, are what is missing in country music today. You can feel the passion in Lilly’s voice as he plays his acoustic guitar... This is a fun country CD, provided by someone who understands what country music is all about. Lilly delivers in every possible way, keeping alive the dream that country music still lives. 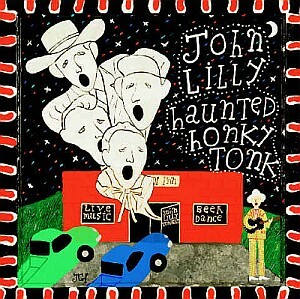 Go to John Lilly's Haunted Honky Tonk CD page. A wonderful mix of old-time ballads, early country, and original songs that sound and feel as old as the early ones. The musicianship is as good as you'll hear anywhere – the lead and harmony vocals are among the best I have ever heard. The yodeling on “No Hard Times” would make Jimmie Rodgers proud. The guitar accompaniment on the ballads shows great feeling and only enhances the words. I could go on, but this is an exceptional recording of the old, not so old, and new. 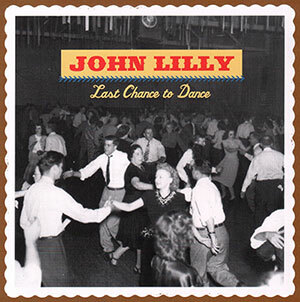 Go to John Lilly's Last Chance to Dance CD page. 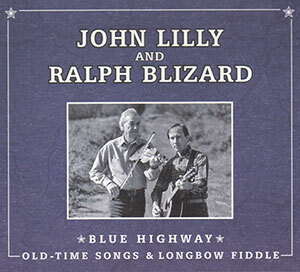 In the 1990’s, singer and guitarist John Lilly and fiddler Ralph Blizard toured throughout America with their absolutely unique version of old-time music. John was 36 at that time and Ralph 72. In 1991, they brought out the collection “Blue Highway” on cassette tape. Now John Lilly has brought out these recordings along with a number of live recordings on CD. John Lilly is singing with an easy facility and playing guitar excellently, and Ralph Blizard is a phenomenally fine fiddler. “Blue Highway” delivers more than an hour of timeless, old-time music. A beautiful disk. Go to John Lilly's Blue Highway CD page. John Lilly ranges from cowboy ballads to Primitive Baptist hymns to Tin Pan Alley and back, all with spare but pristine accompaniment on guitar, mandolin and fiddle, and with harmonies on some cuts by the remarkable Ginny Hawker. The careful arrangement of songs on the disc produces a song cycle which is a musical and spiritual journey from heartbreak and disappointment to solace and redemption -- with a dash of humor and yodeling for good measure. If there is any justice in the universe, the folks whose ears have been opened by the "O Brother, Where Art Thou?" soundtrack will have a chance to enjoy another example of acoustic music from the first half of the 20th century, embodied in a contemporary voice. Very highly recommended! 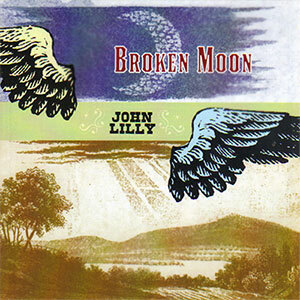 Go to John Lilly's Broken Moon CD page. John Lilly's original, traditional, and classic country music hits home and rings true. From hidden masterpieces by Hank Williams, Jimmie Rodgers, and the Louvin Brothers to ancient folk ballads and creative original songs, John Lilly presents music of unusual depth and sincerity. Web Site and All Content © 2002 - 2019. All Rights Reserved.